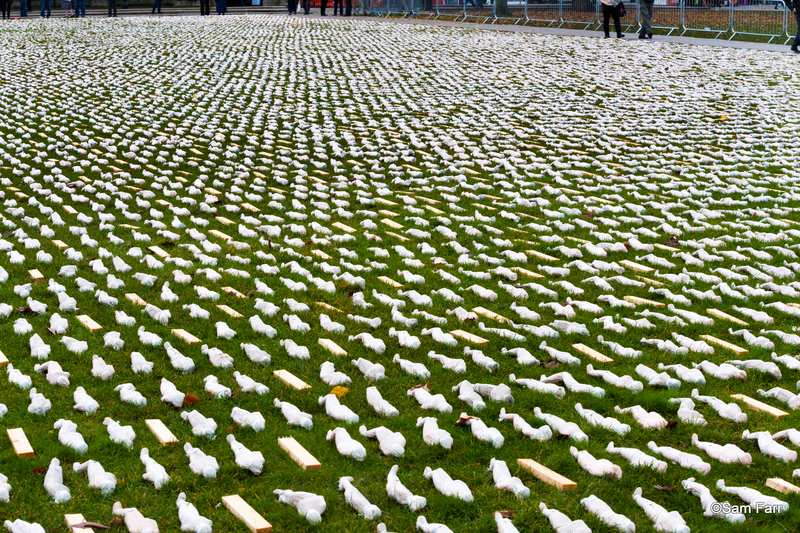 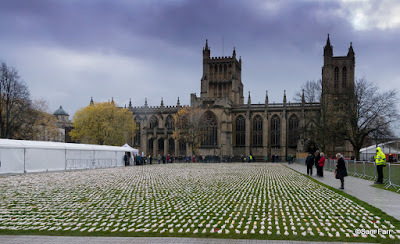 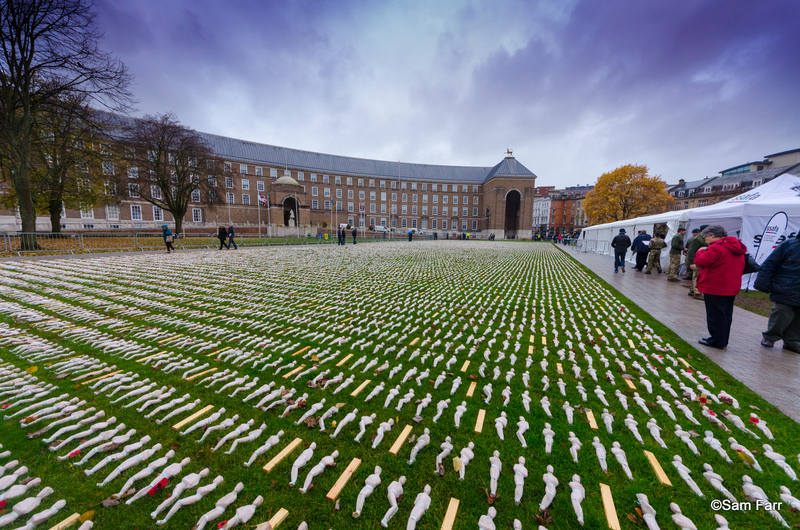 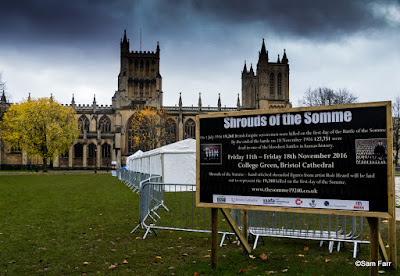 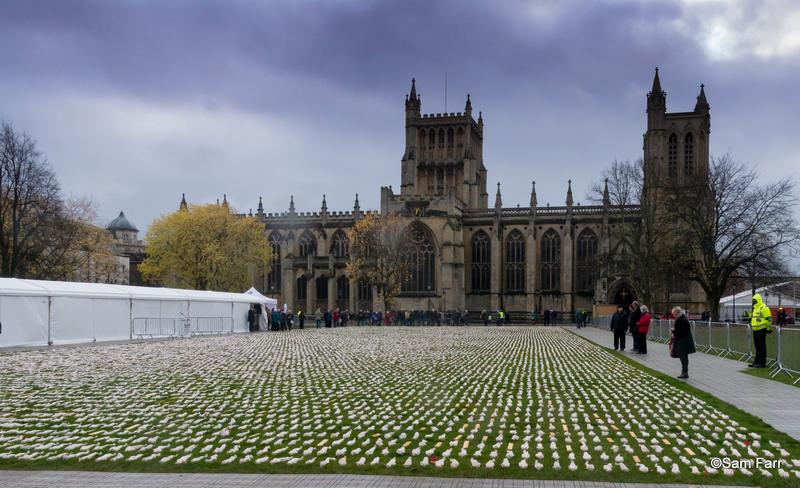 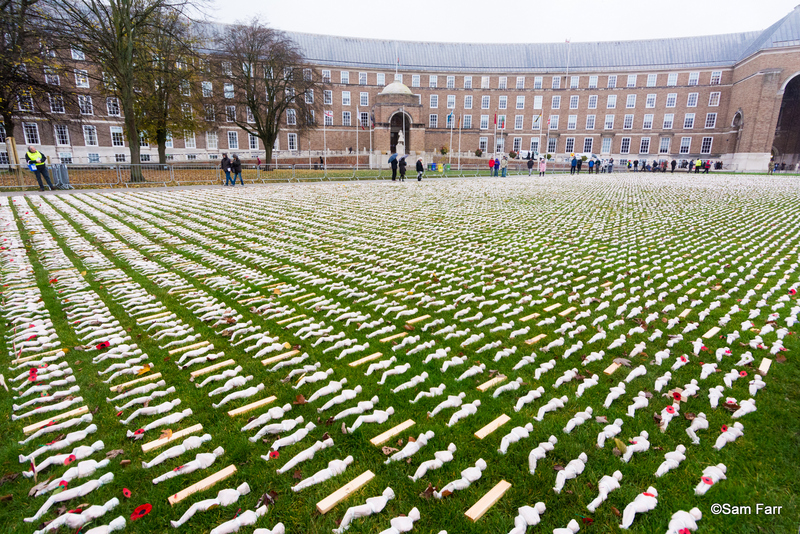 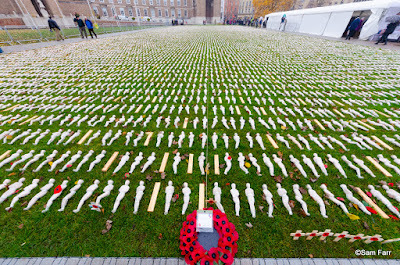 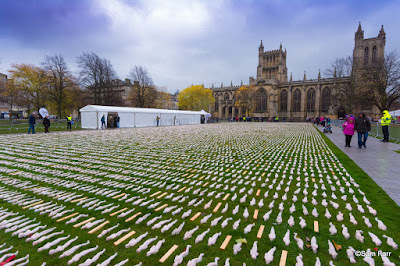 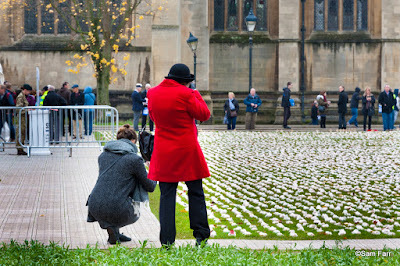 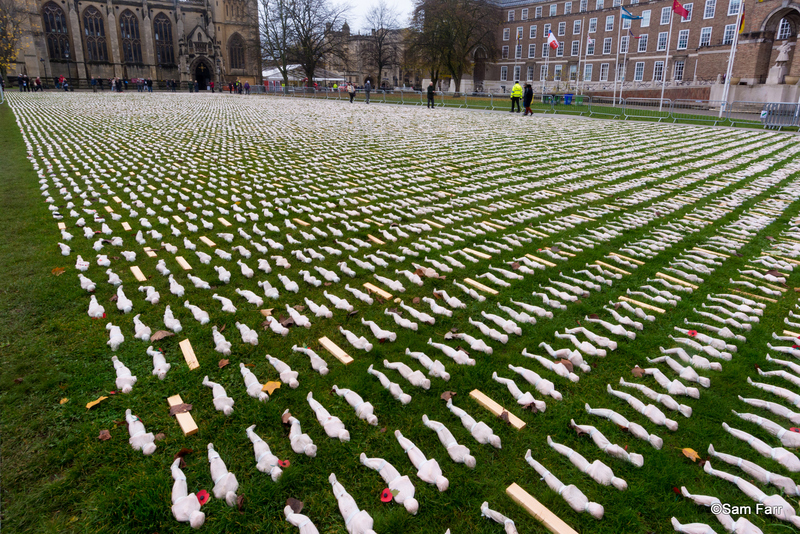 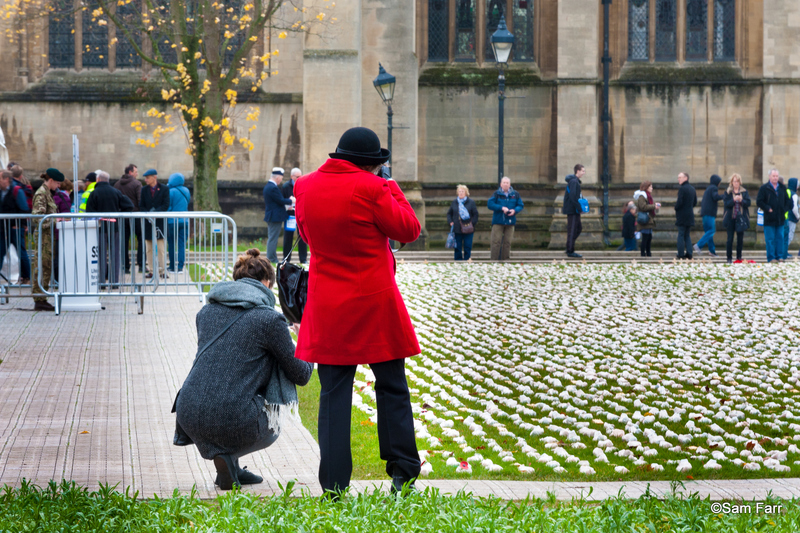 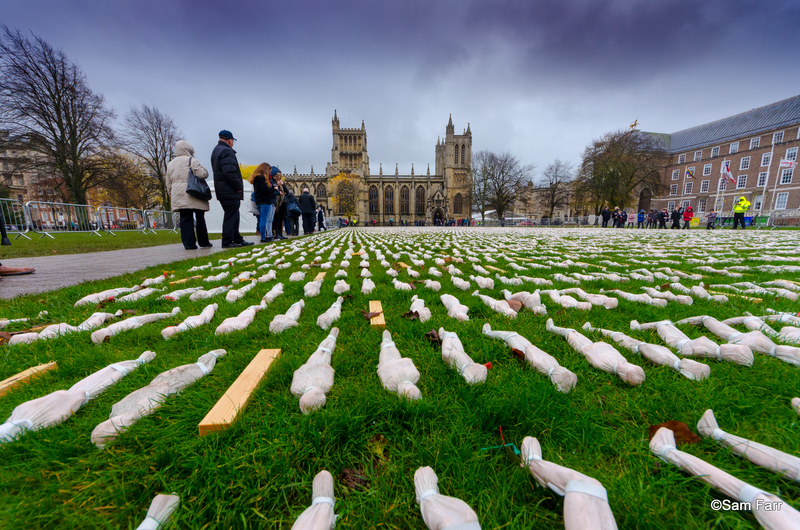 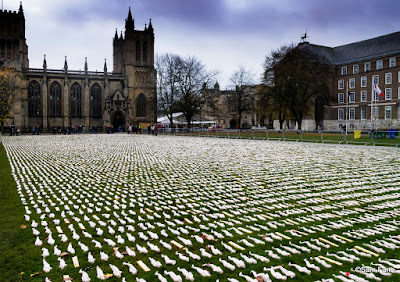 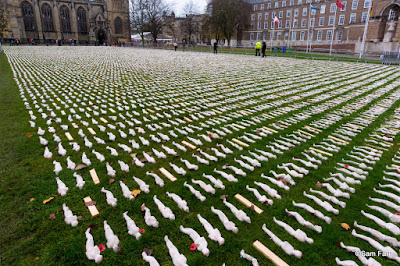 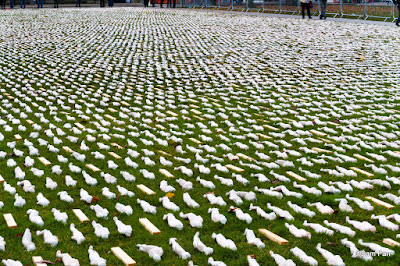 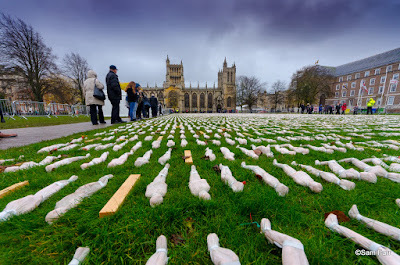 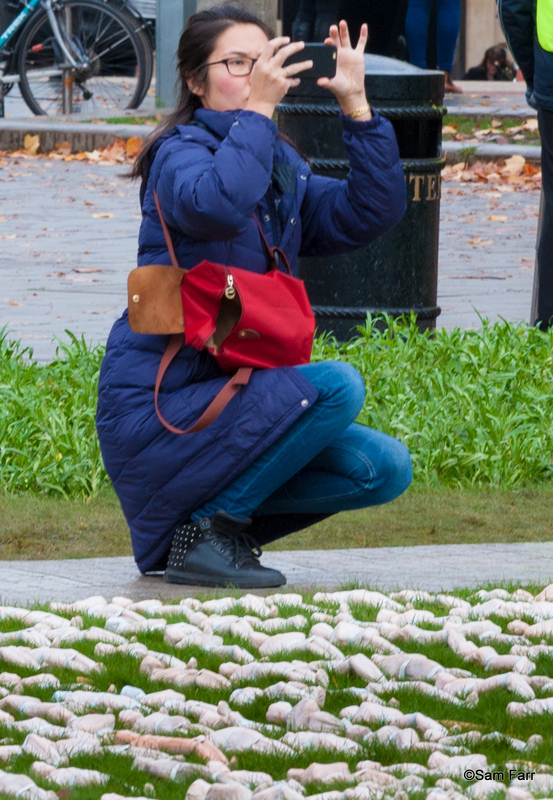 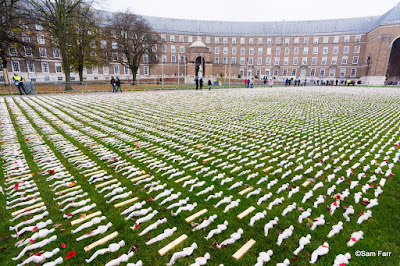 We visited the Shrouds of the Somme display in Bristol yesterday.It was the most moving things we have seen since our visit to Kanchanaburi War Cemetery in Bangkok in 2008. Which contains the remains of 6982 young Allied Prisoners who died building the jungle railway. 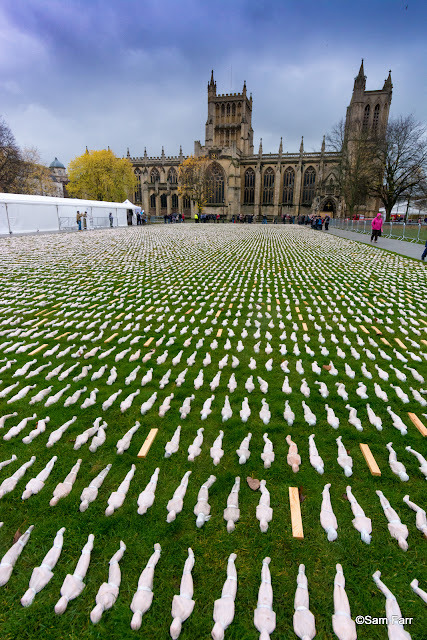 One Shroud for each of the 19240 soldiers who died in the first day of the battle of the Somme. 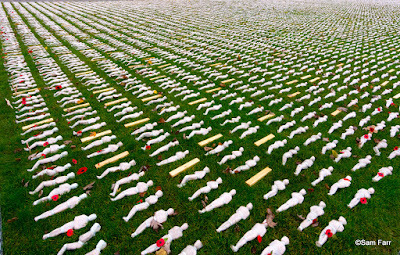 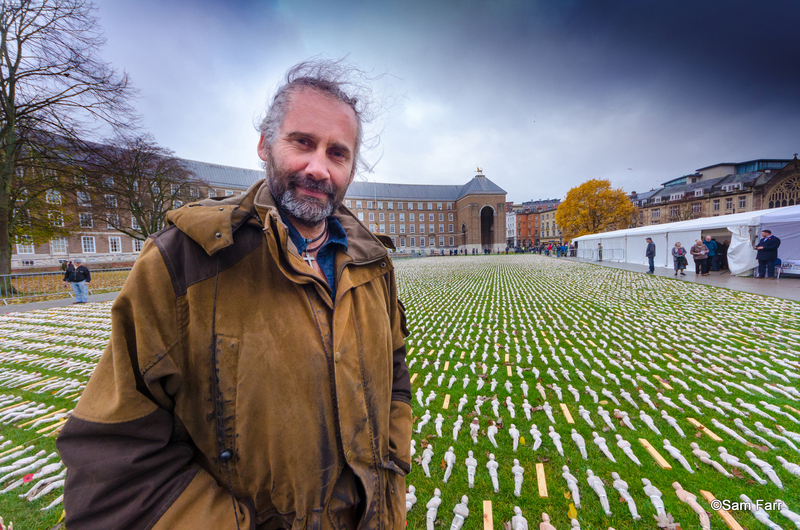 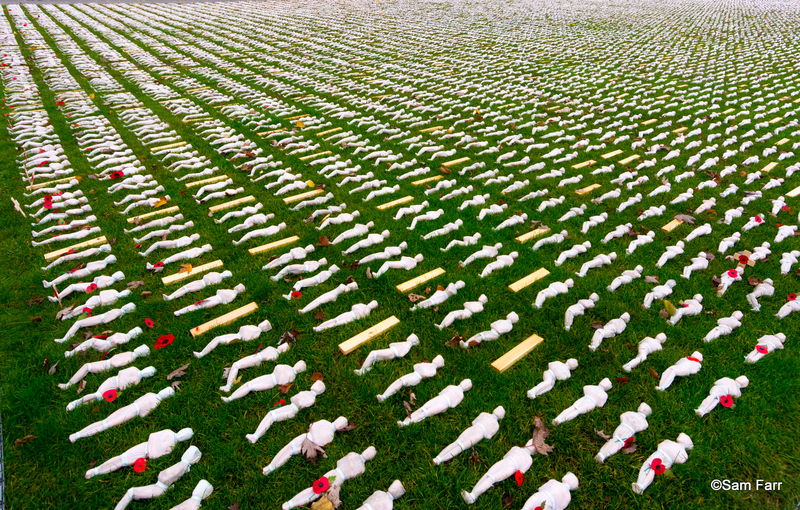 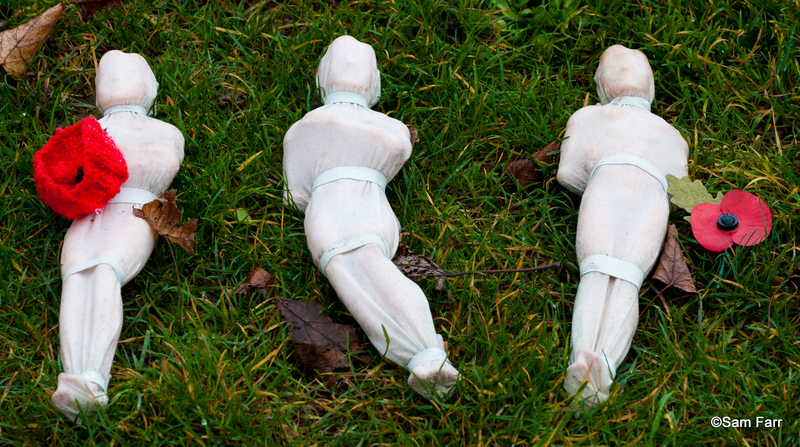 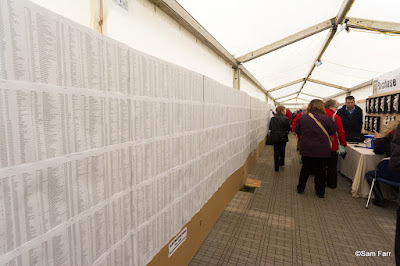 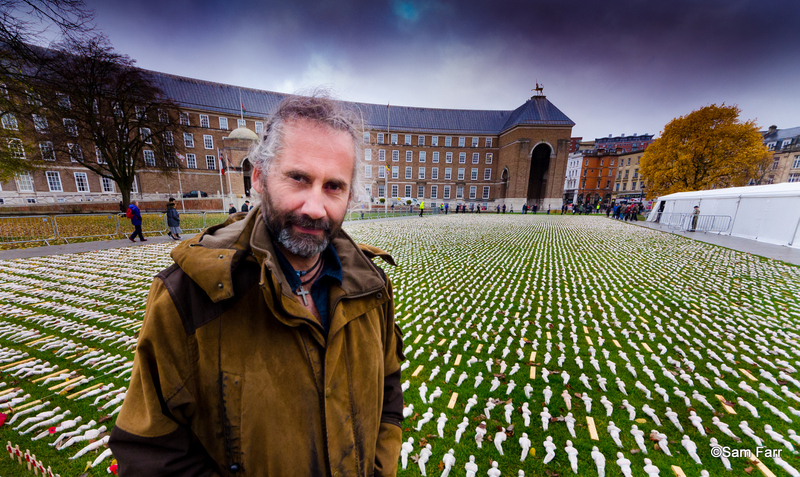 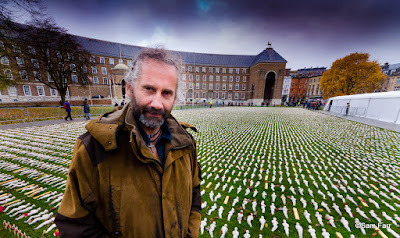 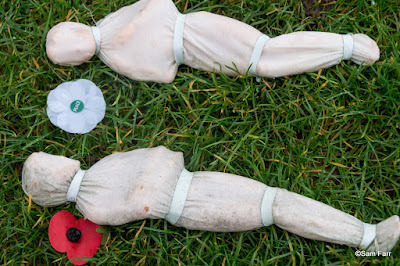 This is artist Rob Heard who wrapped and bound each figure in a hand-stitched shroud, crossing the name of every soldier who fell on that fateful first day off a list sourced from the Commonwealth War Graves Commission. 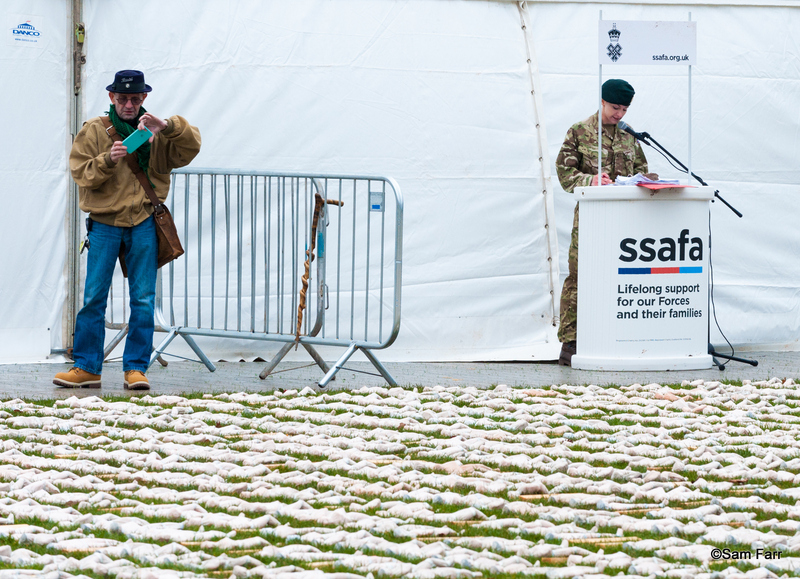 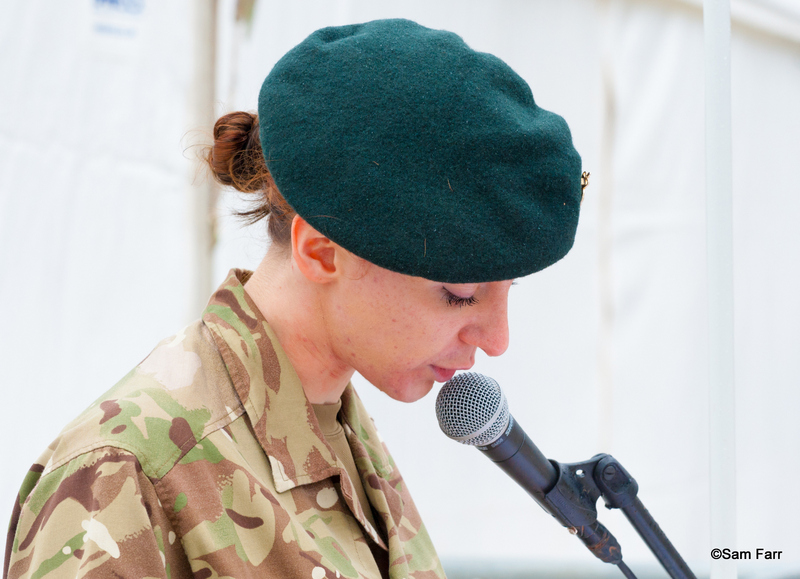 A young soldier reads out the names of the dead. 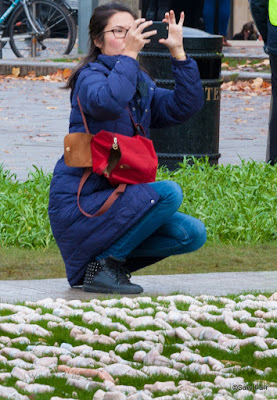 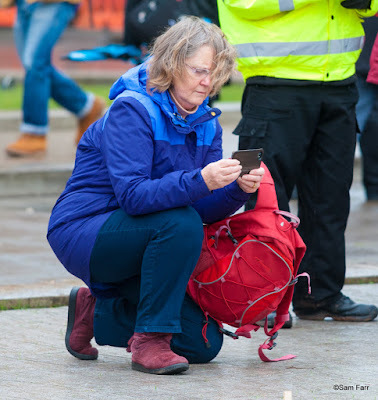 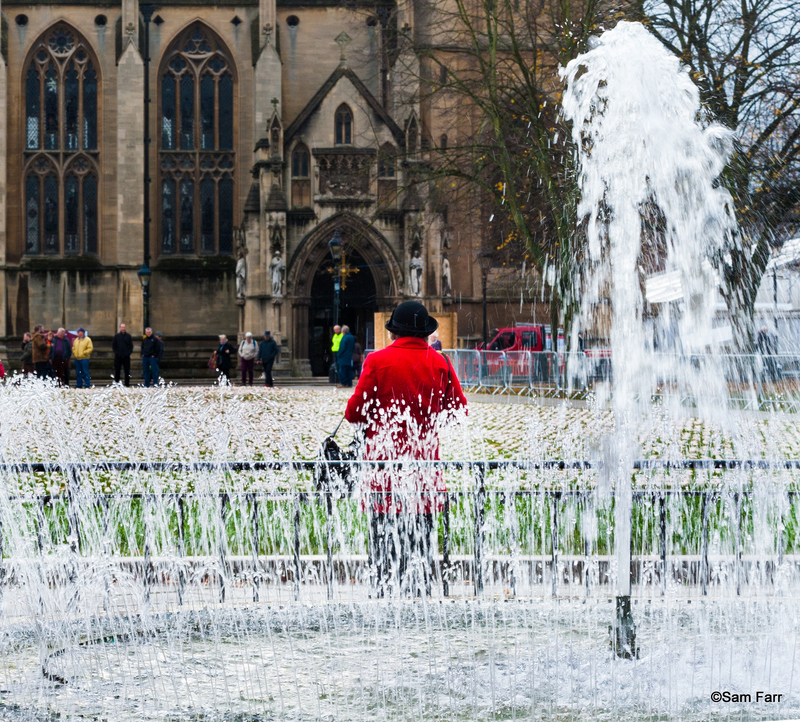 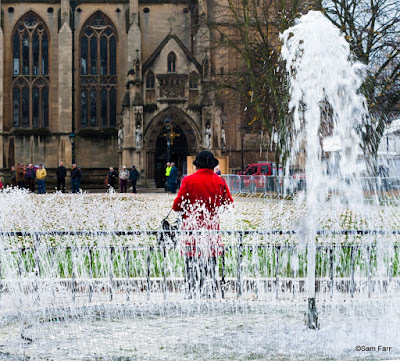 Went into town to look at a photography exhibition. 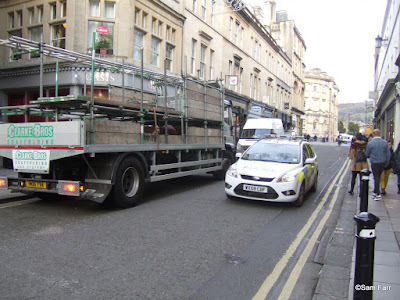 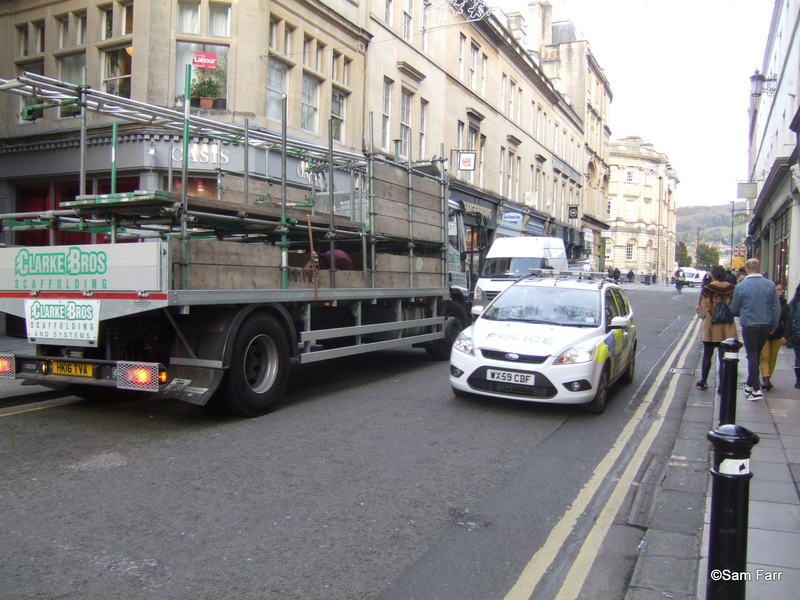 Stopped to photograph a scaffolding lorry still parked the wrong way up Cheap Street. 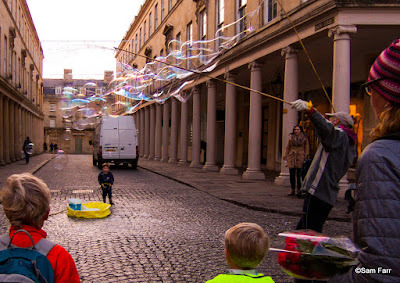 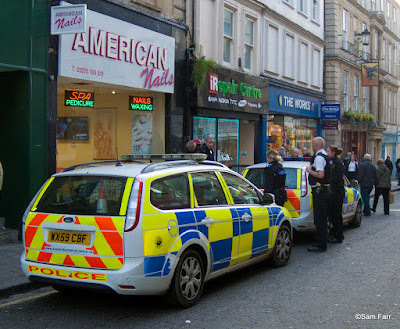 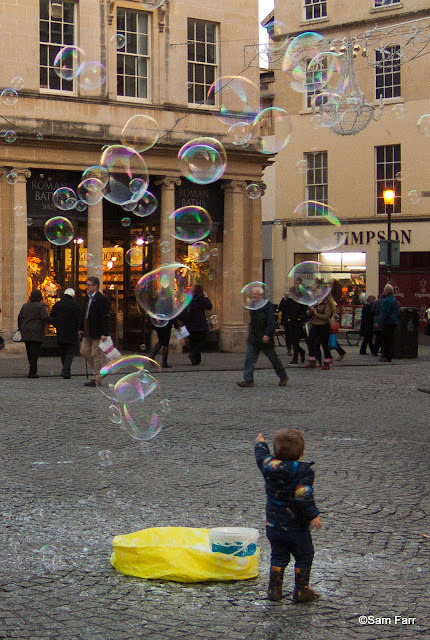 Then the Bubble man was in Union Street.